Search for fuel stations by location or pricing, receive warnings of upcoming traffic jams, get detailed weather summaries and forecasts, and find information on places of interest—for wherever you are and wherever you are going. Connected Services is a subscription-based package that makes traveling much easier and more enjoyable. To access Connected Services, you must first register and download your Mazda Toolbox. 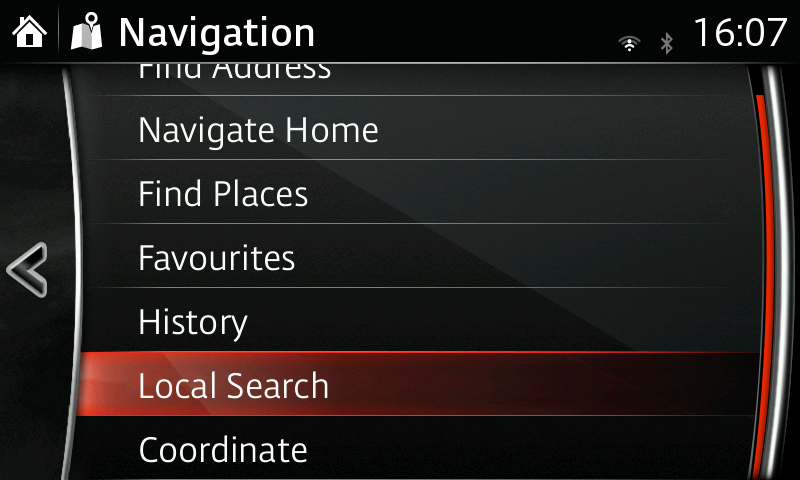 The Mazda Toolbox is a Windows utility designed to connect your navigation system with your computer. It enables you to view and download available updates and content that can then be conveniently uploaded to your system, including free map updates for three years. The Mazda Toolbox can also be used for creating and restoring backups, and moving or copying contents. Use your Mazda Toolbox to purchase Connected Services, download to your PC, and transfer to your vehicle’s SD card. Wi-Fi is required to use Connected Services. To get started, create a Wi-Fi hot spot with your phone (refer to phone’s owner’s manual for instructions), and then select it from the available networks display within the devices menu. 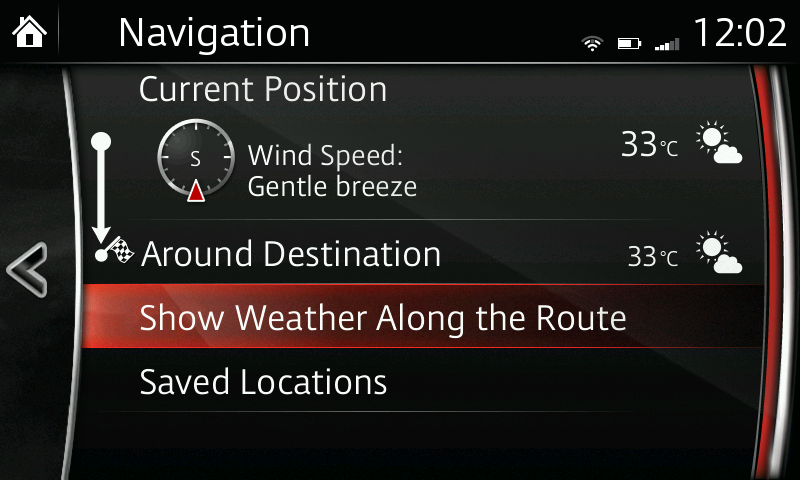 Throughout the navigation system there are options for Traffic, Weather, Fuel and Local Search. If you have a Connected Services subscription, you can simply select these options to receive real-time information. – If you need help accessing your vehicle's SD card, refer to your owner's manual. – All features of Connected Services require data usage; check your plan to see if additional fees will be incurred. Average usage of Connected Services equal to 6 hours use per day based on 20 days per month is equivalent to approximately 30MB of data.